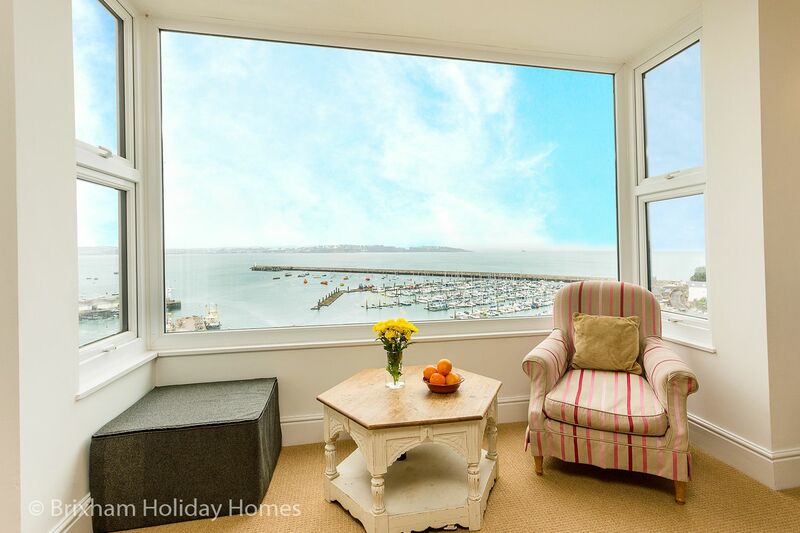 Truly spectacular views over Brixham Marina and Torbay. 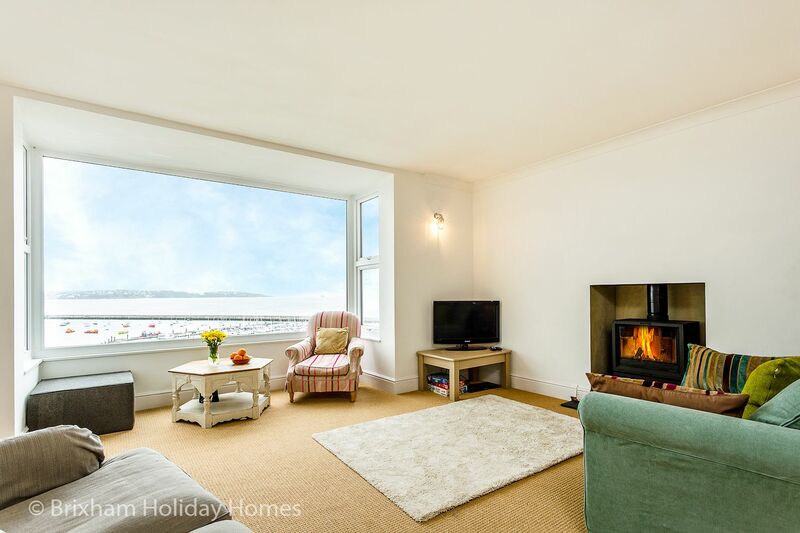 Rock Cottage is a large comfortable marine house with outstanding bay views from every floor. 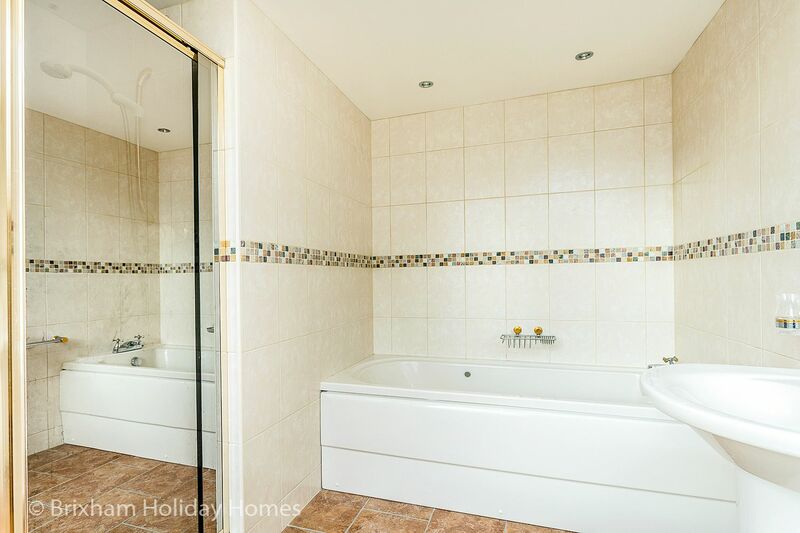 This property has a FRIDAY change over during peak school holiday weeks. 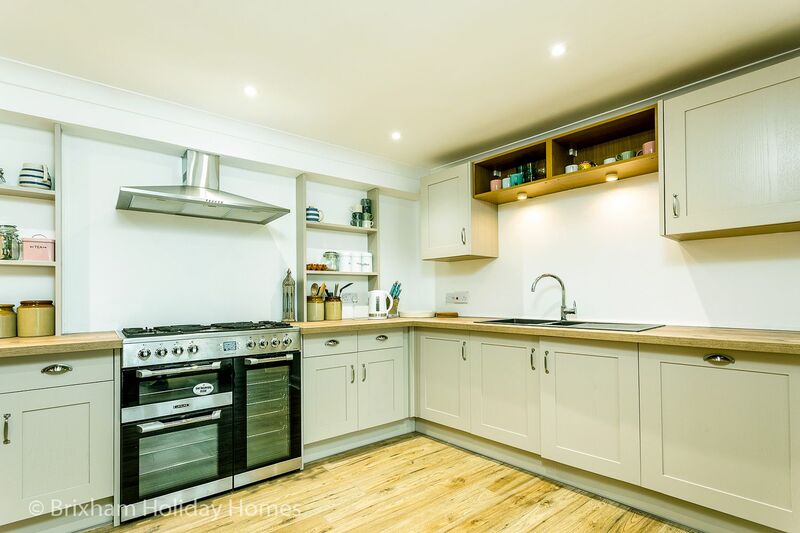 This impressive yet relaxed holiday home makes an ideal base for a large family or two smaller families holidaying together. 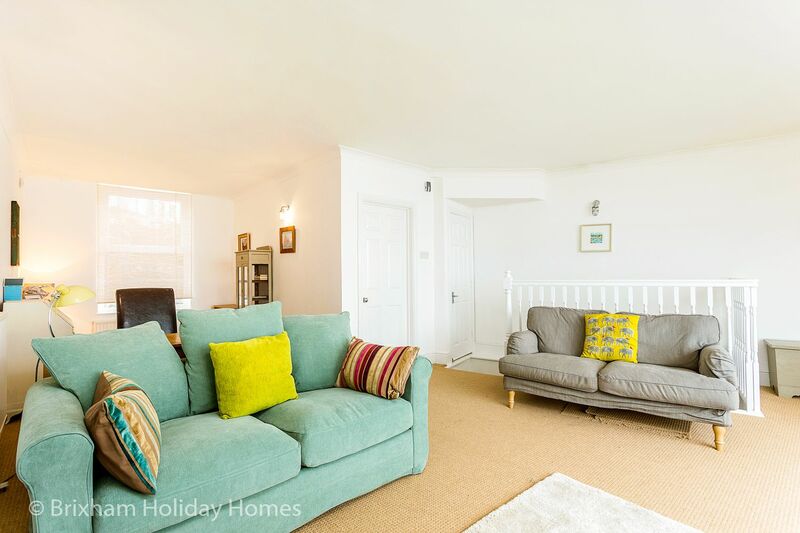 We also have 2 other properties a few steps away, so if you are a very large group, there is space for everyone. Brixham offers a wealth of activities and attractions for the family including the nearby 'free to use' Shoalstone Pool & Lido. Fishing trips, crabbing around the harbour and power boat rides, sailing, scuba diving, kayaking and swimming are all on your doorstep. Ferries to nearby Torquay and Dartmouth and Steam Trains to Paignton mean you can leave the car parked all holiday. 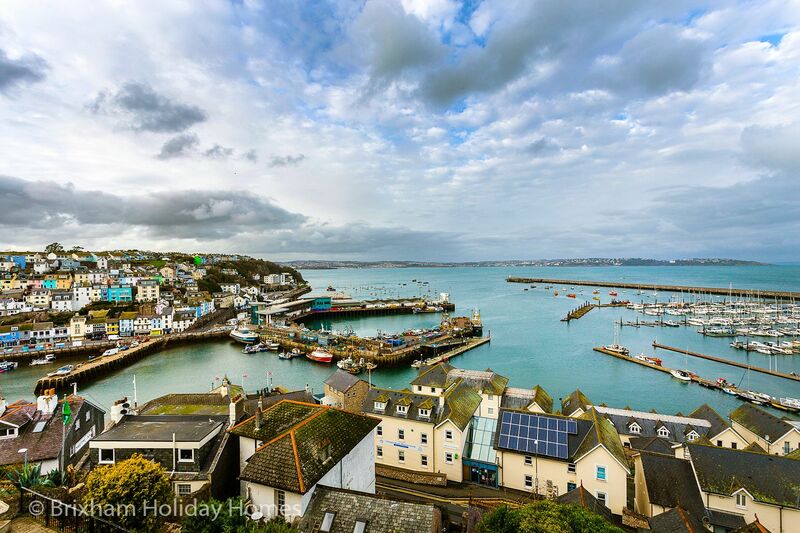 Being the largest fishing port in England, Brixham's local restaurants and cafes are the ideal place to enjoy the freshest fish you will ever taste. 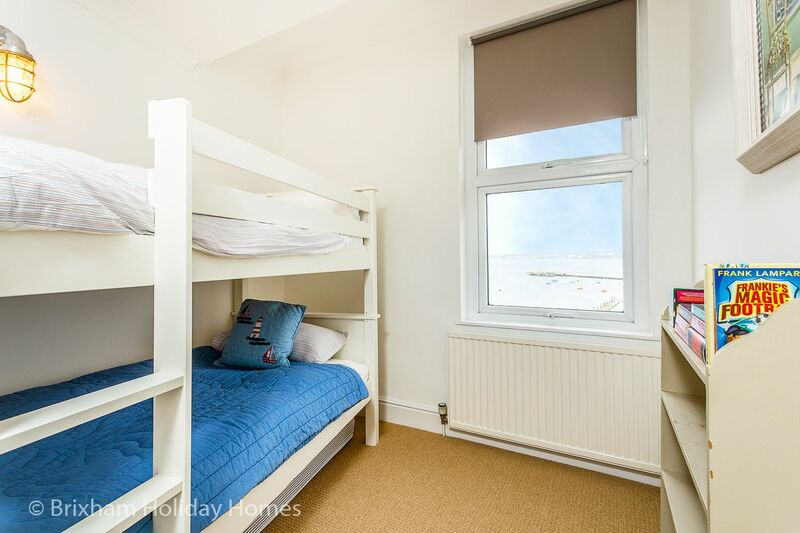 Rock Cottage is a large relaxed 4 story home and comes fully equipped with every necessity including wi-fi, full gas central heating and lots of box games, toys and books in case of inclement weather. 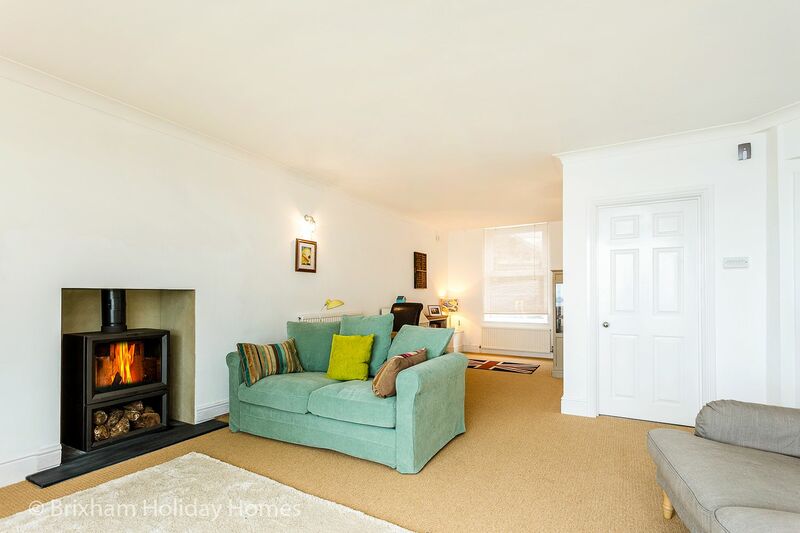 The accommodation briefly comprises: 1st Floor lounge with wood burning stove, squishy sofas and lots of space to spread out and relax. 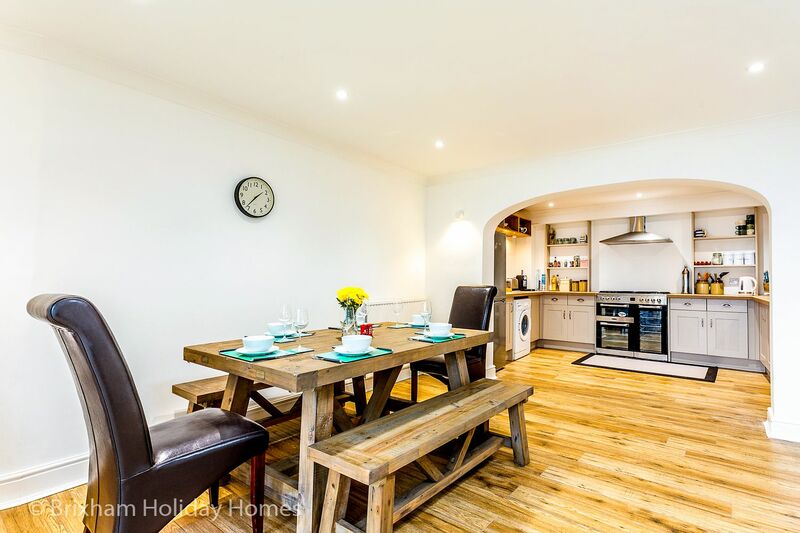 The very spacious lower ground floor kitchen and dining area with outside patio make a great place for entertaining and relaxing after a long day of site seeing or activities. 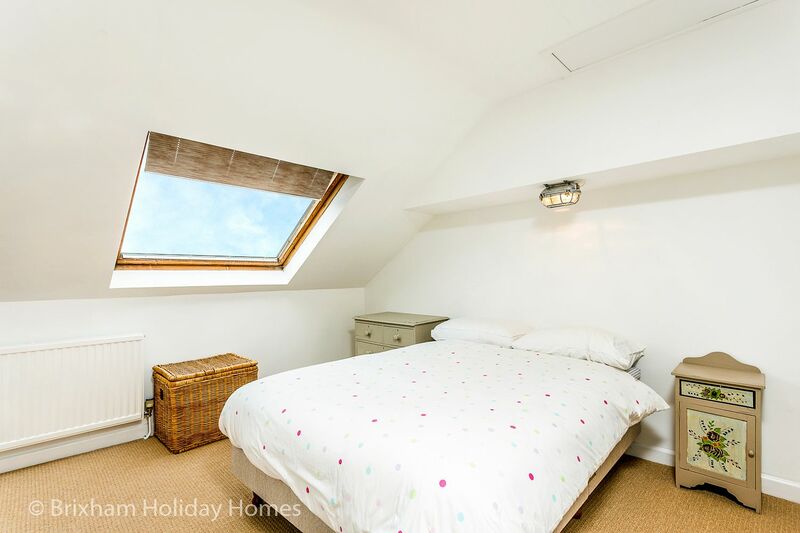 There are two bedrooms and a large family bathroom on the 2nd floor and a further top floor master en-suite bedroom with a king size bed and a double sofa bed. 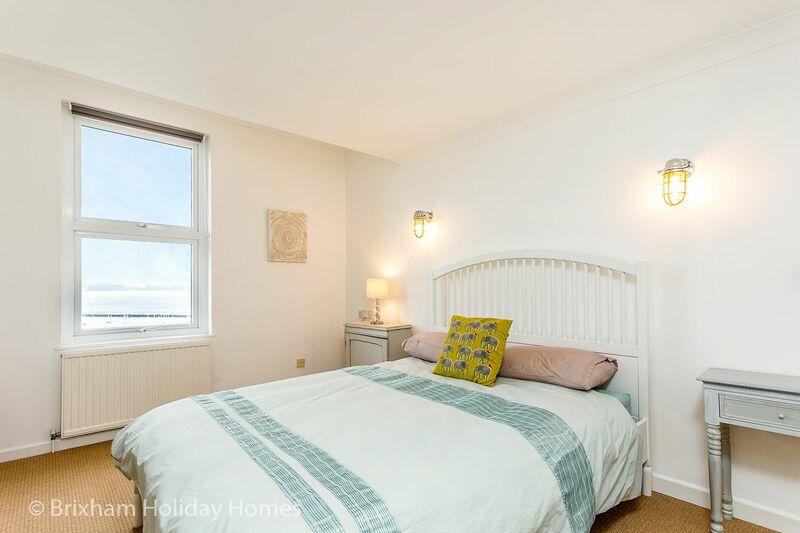 The whole property is thoughtfully furnished, decorated and accessorised with a cosmopolitan coastal vibe, blending shabby chic and modern pieces that make for a truly relaxing space in which you can unwind and make memories that will last a lifetime. 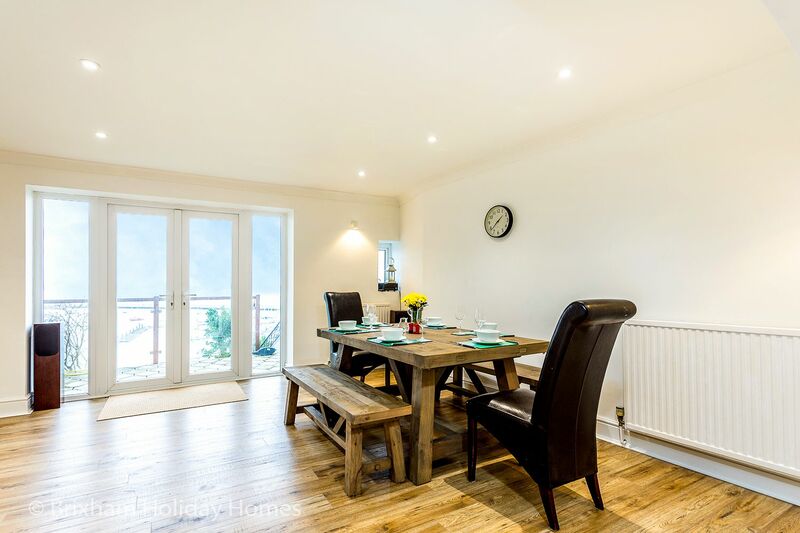 Large open plan kitchen / dining area with cloakroom W/C spans the entire ground floor. 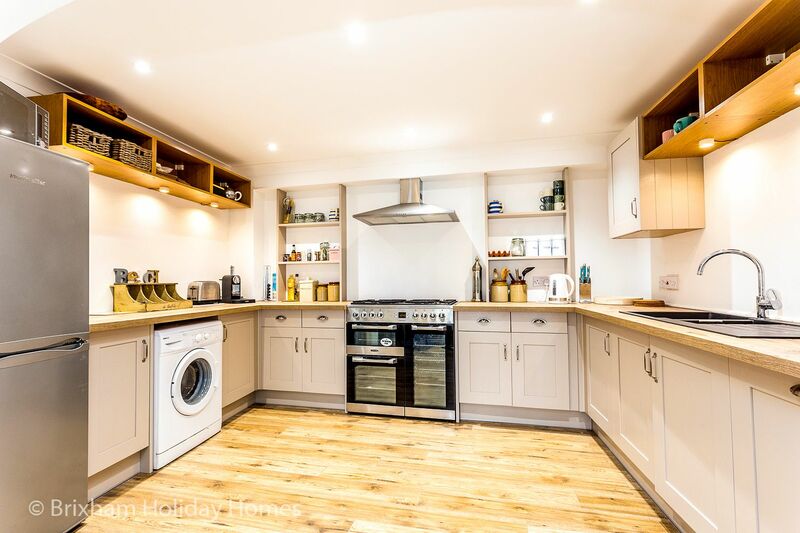 Modern fitted kitchen with lots of cupboard and storage space. Fully equipped with crockery, cutlery, glassware, pans, bowls & cooking utensils for 8 persons. Large triple oven with 6 burner gas hob above and extractor hood over. 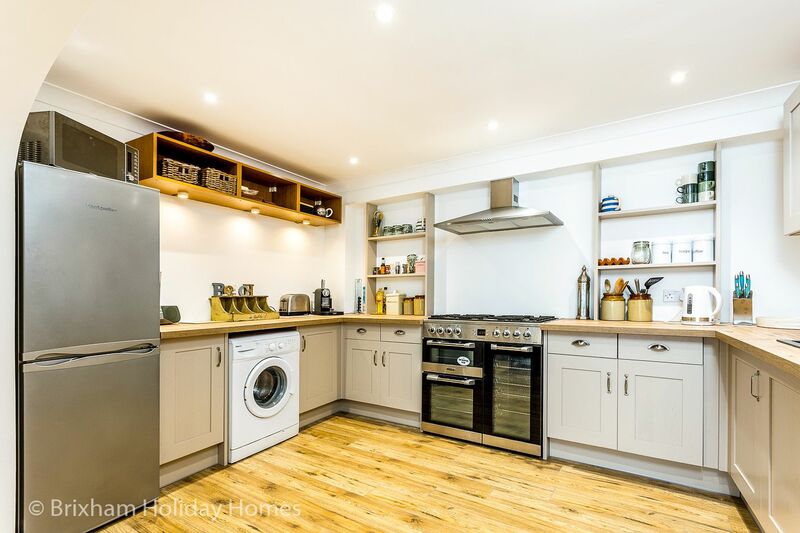 Built in dishwasher, washing machine, large upright fridge/freezer, microwave, kettle and toaster. Paved patio area with glass balustrades that overlooks the bay. 10 steps down to a small terraced garden laid to lawn. 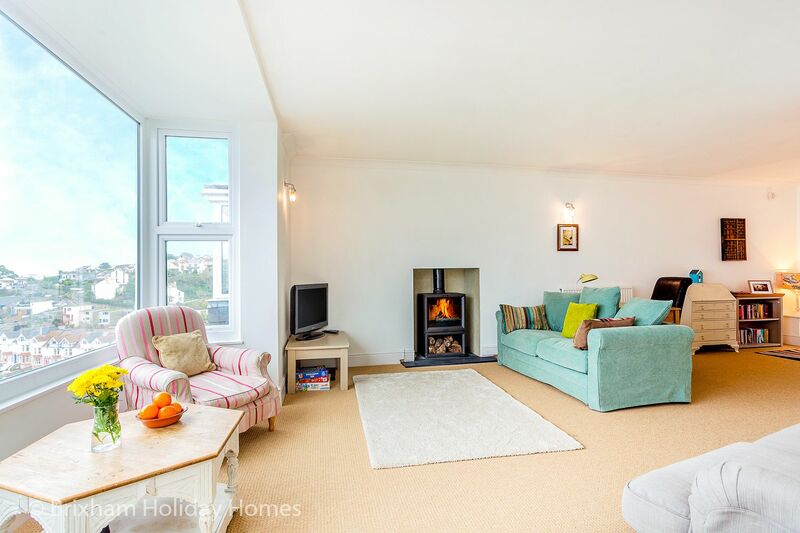 Large spacious lounge spanning the entire 1st floor with a huge bay window overlooking the bay. 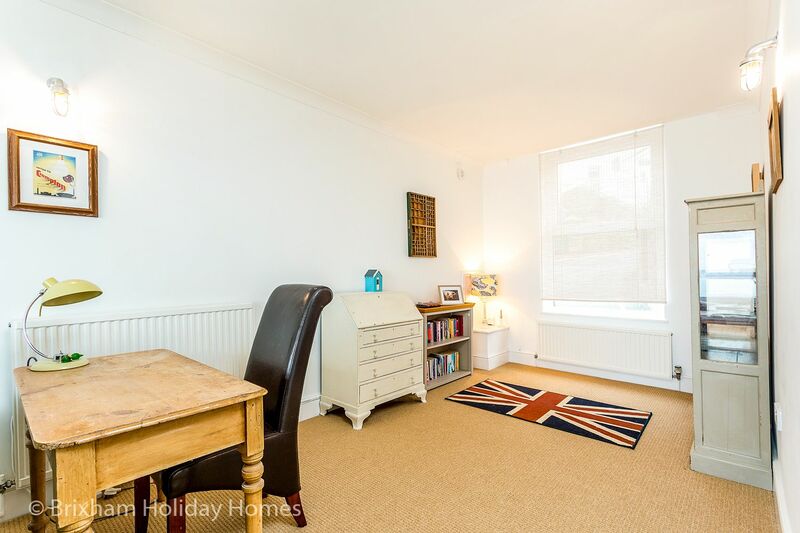 Modern log burner, TV, 2 x large squishy 2 person sofas, desk & chair, armchair and seating cube in the bay window, bookcase with a selection of books and games, wooden display storage unit, large wooden hexangular coffee table, side table with lamp. 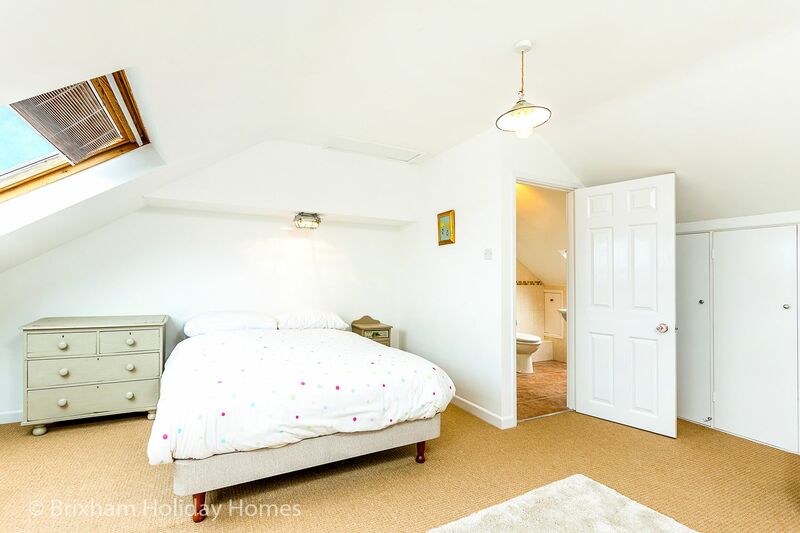 leading to 2 bedrooms and bathroom and a staircase leading to top floor, large built in cupboard with hanging and storage space. 13 open tread stairs to 3rd (top floor) master bedroom. Set of two full size wooden bunk-beds, bookcase, shabby chic style cupboard storage unit with shelves and drawers, wall light. 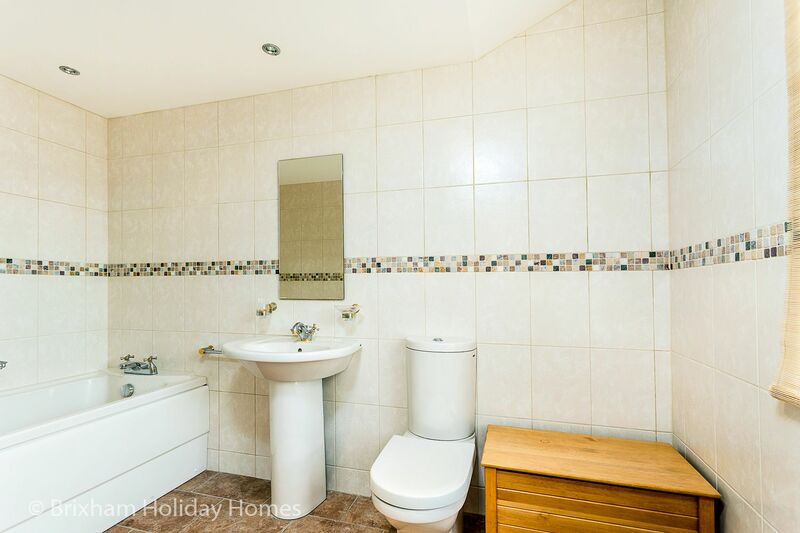 Large fully tiled family bathroom with full size bathtub, separate glazed shower cubical with power shower, wash basin on a pedestal with mirror over, modern dual flush W/C, wooden storage chest. There is no dedicated parking with this property. However, there are plenty of safe free parking spaces on nearby roads. This property has 24/7 access via a key safe. Due to its elevated position on North View Road, there are at least 80 steep steps down to the harbour area. 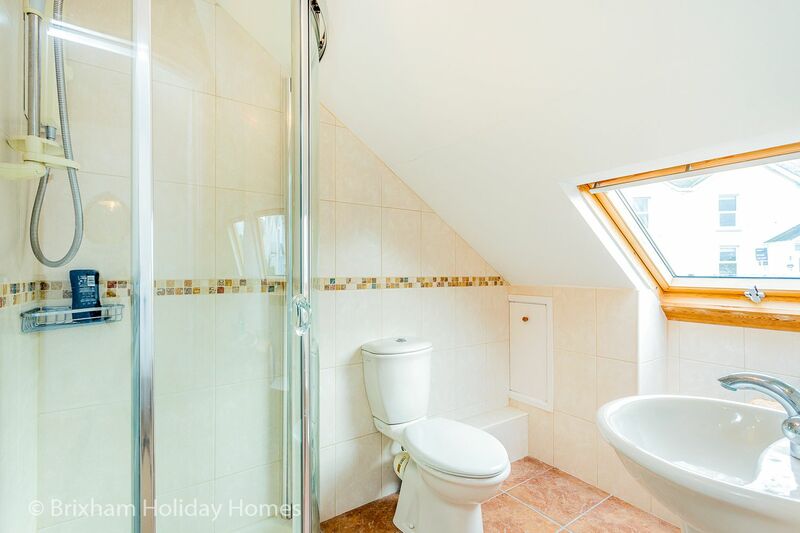 Therefore this property may not be suitable for persons with mobility issues. However, a car or taxi can drop off right outside the front door. 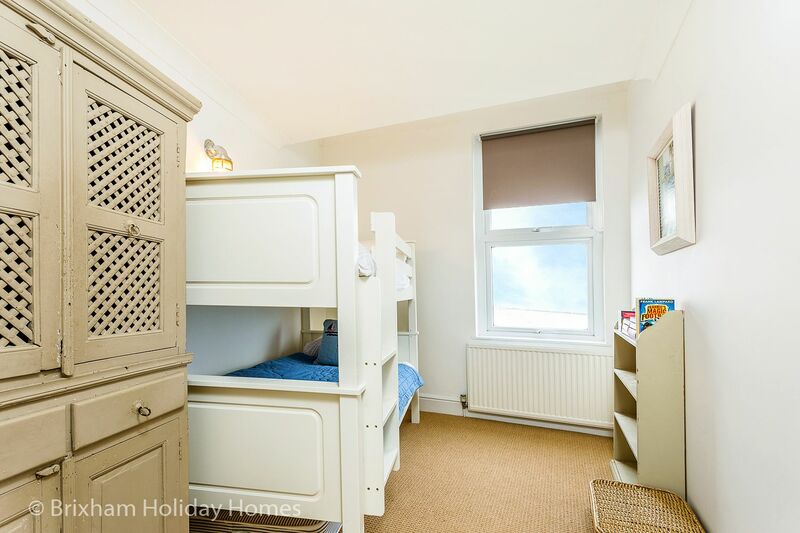 This property includes lots of books and games and a stair gate, high chair and travel cot. We had a great 3 days at rock cottage. Magnificent views and location. The only thing you need to be concerned about if you have a big family car is the parking. We did manage to park every night but a good walk from the property. That said we would definitely book this property again. 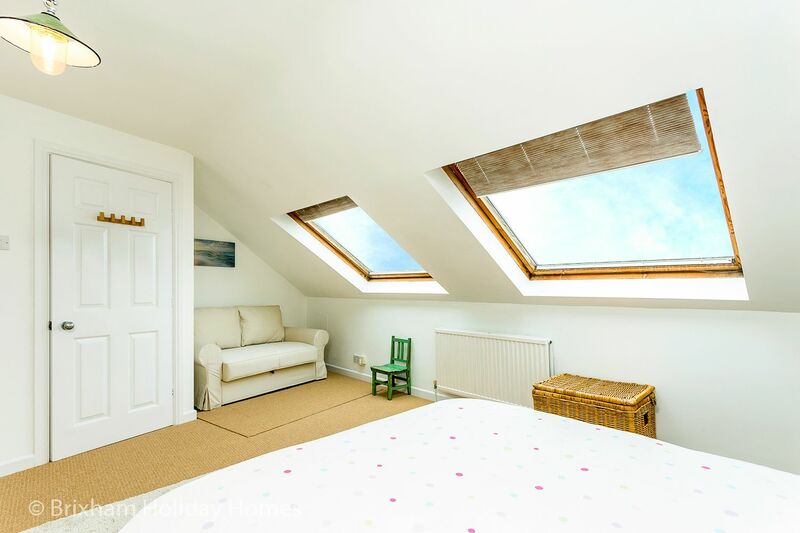 Situated in an elevated position on North View Road this property enjoys spectacular bay views from every floor. 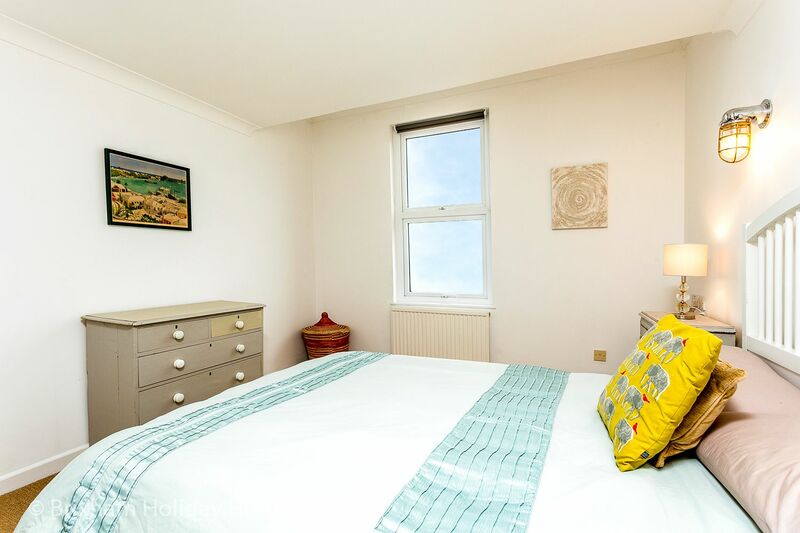 It is just a 3 to 4 minute walk down 80+ steps to harbour area with lots of cafes, restaurants, bars and shopping. 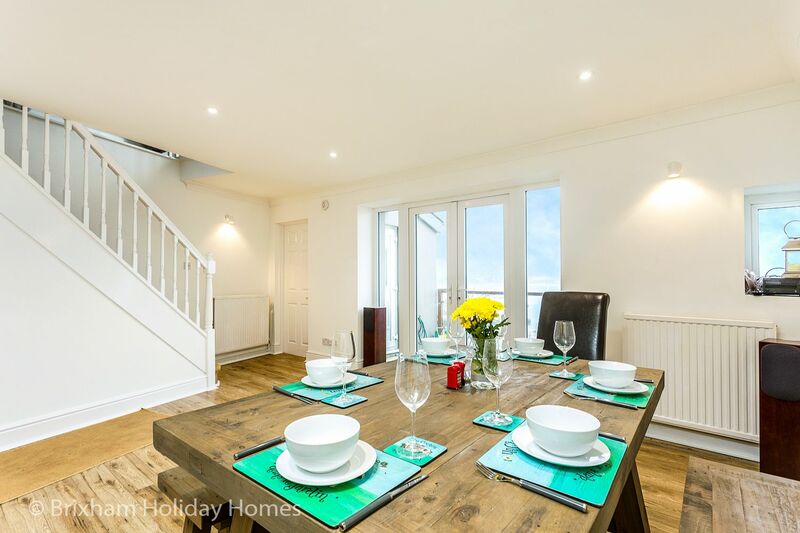 Steep steps (with a handrail) down to the harbour mean that this property may not be suitable for guests with mobility issues. However, there is access for a car or taxi to drop off right outside the front door.